At Avnet Law, we help clients navigate through complex family law issues including divorce, child custody, child support, parenting time, contempt hearings, guardianships, paternity issues, and adoption. At Avnet Law, our Noblesville, Indiana family law lawyer understands understand how stressful divorce and other family law matters can be on the entire family. We will help you determine the most strategic way to approach your case and will aggressively represent your interests through every step of the proceedings. Call 1-877-77-AVNET to speak with an experienced family law attorney in Indiana. If you are facing a family law issue, turn to Avnet Law for legal guidance. We understand the profound impact that divorce, child custody proceedings, and other cases can have on our clients’ personal and financial wellbeing. We provide ethical, compassionate, and skilled representation in a variety of family law matters. Ending a marriage comes with a long list of complicated tasks: negotiating a fair division of assets, rearranging your financial accounts, and timely filing the necessary paperwork. If there were children born during the marriage, the legal issues of custody, child support, and parenting time complicate an already difficult and emotional legal issue. Any mistakes during the proceedings could result in financial turmoil but can also affect your future relationships with your children. With so much at stake, it’s important that you hire a talented divorce attorney to help you overcome any legal hurdles you will encounter. Often times, a previous child custody arrangement is no longer in the best interests of the children. We can advise you regarding child custody modifications and advocate on your behalf. If you and your spouse are unable to find common ground regarding the current child custody arrangement, turn to Avnet Law for guidance. We will explain the differences between legal and physical custody, the factors that the court will consider when awarding or modifying custody, and we will help you take the necessary steps to give your case the best chance of success. The other side of custody is parenting time. The non-custodial parent receives parenting time (“visitation”) with their children. At Avnet Law, we frequently encounter clients who do not have a parenting time schedule in place. 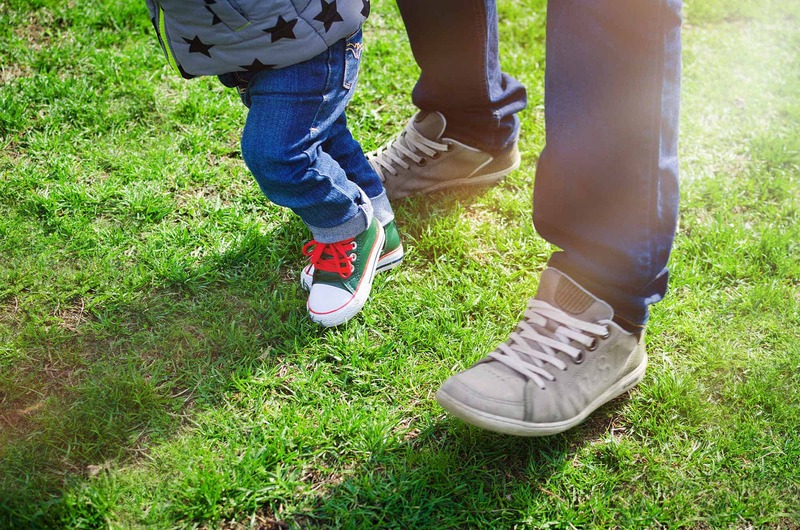 The result is that the custodial parent often decides themselves when the non-custodial parent will see the children and sometimes even denies the non-custodial parent visitation altogether based on the parties’ relationship at a given time. This obviously does not work for the non-custodial parent. Indiana has very specific rules regarding parenting time for children of different ages, including school breaks, summer, and holidays. Parents are guaranteed a certain minimum amount of parenting time per the Indiana Parenting Time Guidelines. If you are concerned that you do not have enough parenting time, or if you feel the custodial parent is abusing your parenting time rights, turn to Avnet Law to discuss and remedy your situation. We can either arrange a parenting time schedule or modify an existing parenting time agreement based on current circumstances. We can also assist if you have reason to believe that your children’s other parent is a threat to their safety and parenting time should be curtailed or there should be supervised parenting time. Whether you will be receiving payments for child support or you will be paying child support, it is important that the amount of support is calculated correctly pursuant to Indiana law. Frequently, a change in income or employment in either party affects the current child support calculation making a modification of child support necessary. Indiana has specific laws regarding the modification of child support. We can help you determine the correct amount of child support and assist with modifications as well as child support enforcement actions. If you are not a child’s parent but you would like to attain legal custody, contact Avnet Law to discuss how to proceed. If a child is born to unmarried parents, any legal issue surrounding the children is considered a paternity action. Without a legal paternity determination, the father has no rights to custody or parenting time with the child. Once it is legally established that a man is a child’s father, the father has rights and responsibilities. We can assist you in establishing that a person is the father of a minor child, establishing custody based on that determination, as well as with the related issues of parenting time, and child support for the parties based on paternity. At Avnet Law, we can assist you with many types of adoption cases including relative adoptions and step-parent adoptions. Drafting a prenuptial agreement not only protects your assets in the event of a divorce but also ensures that you are getting married without any false expectations. There are specific elements that must be included in a prenuptial agreement for it to be legally enforceable. This is where an Indiana divorce lawyer from Avnet Law can help. We will treat you as if you are our only client, making ourselves available after office hours and on weekends to answer your questions. To schedule a free, no-obligation consultation, call us today at 1-877-77-AVNET. Avnet Law represents clients in Hamilton County (Noblesville, Fishers, Carmel, and Westfield) and Marion County (Indianapolis).